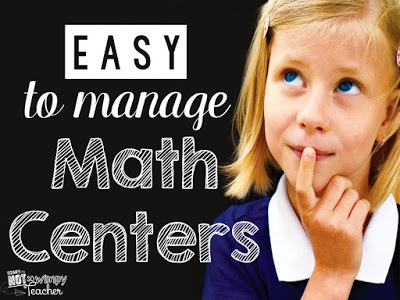 Quite some time ago, I wrote a blog post about how I organize my math centers and what students do at each center. It has been wildly popular. If you would like to read that post, you can do so by clicking on the picture below. 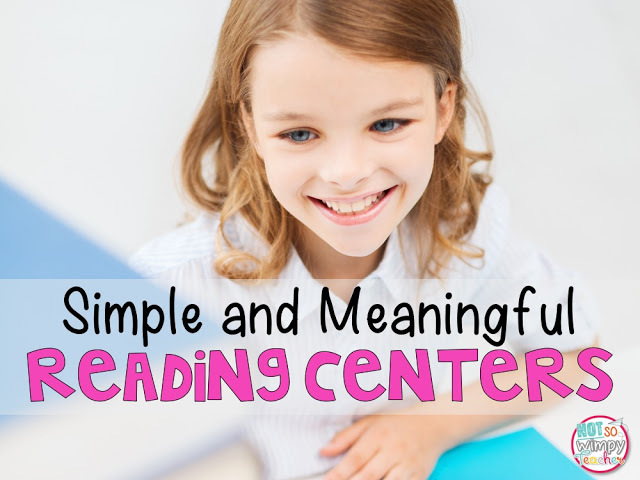 Since that time, I have received many requests to write a similar post about my reading centers. I am thrilled to finally have that post written and ready to share. I hope that it gives you ideas that make your centers meaningful and simple to prepare and manage! 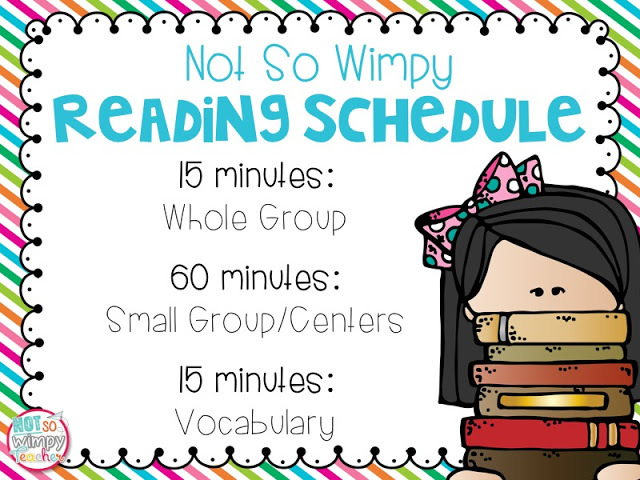 I use the exact same schedule for my reading centers as I do for my math centers. This makes it extra easy for students to learn the routine. I am privileged to have 90 minutes for reading. 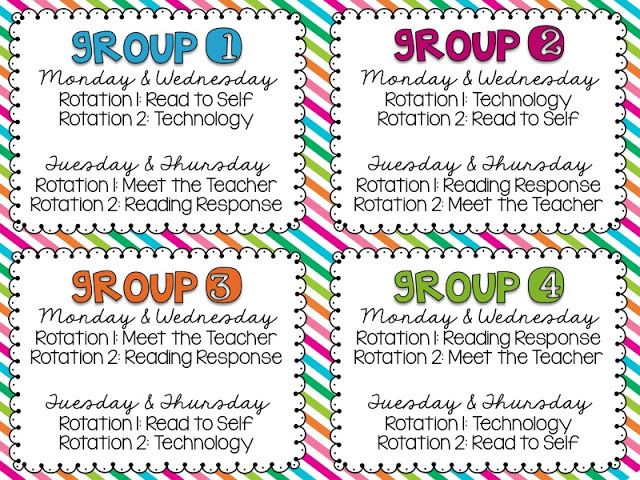 I have four different reading groups that are grouped by ability level. I meet with only two of these groups per day. This may sound crazy to some of you, but it really makes the most of our time. Since I meet with only two of the groups, I am able to meet with them for 30 minutes each. I used to meet with every group each day. Since I have reading groups four days per week, this meant (on paper) an hour of small group time for each student. Now, I meet with each group twice per week for 30 minutes. Many would say that I am still meeting with each group for the same amount of time, but in reality, I am meeting with each group longer now. I have less transitions and time lost while students are putting away materials and moving to the next center. 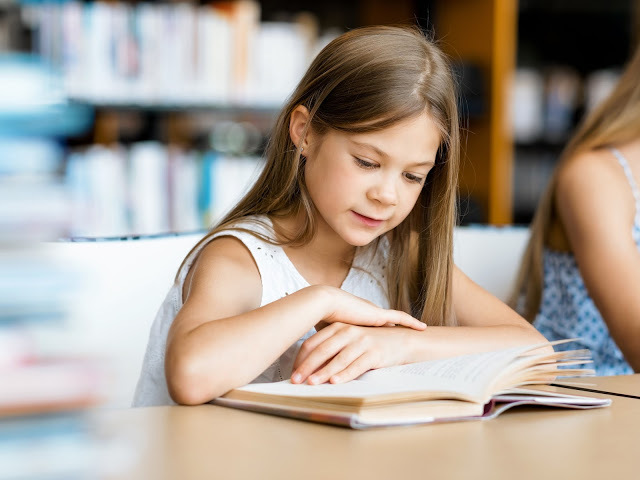 It also means that I am able to delve in deeper with my group and the read to self students are able to actually get through enough reading to get engaged. Prior to doing just two groups per day, I felt like we read two paragraphs and then had to switch. Now we are reading deeper and having more conversation about the text. I love it. I do not have reading groups on Fridays. We have an entirely different schedule for Fridays due to early release. We do assessments for any subject that needs one, science, social studies and sometimes we have time for STEAM projects or art. Students know where to go each day thanks to these signs on my cabinet. 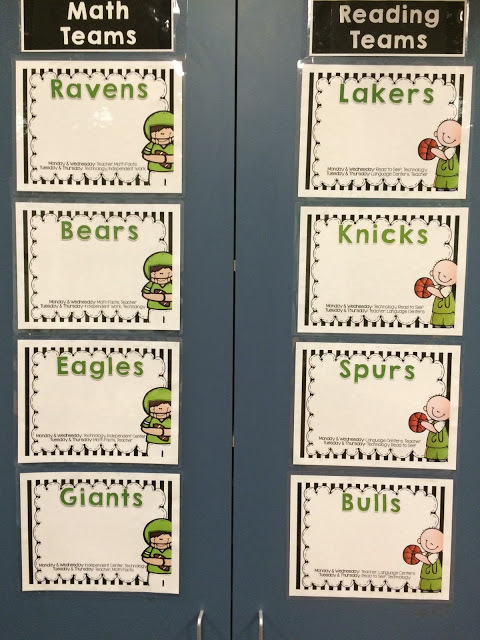 I typed the centers each group would do on each day and then laminated the paper. I use dry erase markers to write student names on the paper. This makes it super simple to change out my groups whenever I feel that it is needed. I do not offer these signs in my store because they are very specific to my class. But it is simple for you to make a set that is specific to your class! Most of my whole group time is spent doing a read aloud. In fact, I start reading during our snack break so that we have even more time to enjoy a book together. 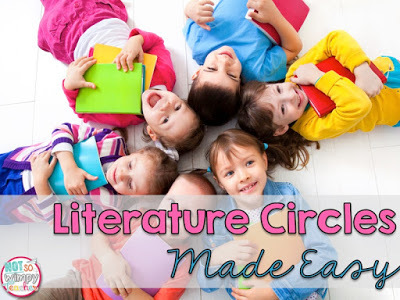 Per my school curriculum map I typically have two weeks to teach a reading standard. I do my best to teach them through our read aloud. We talk about the character traits of each character in the book. We talk about the main idea of each chapter of the Who Was book. When we read Fish in a Tree, my students enjoyed talking about the theme. 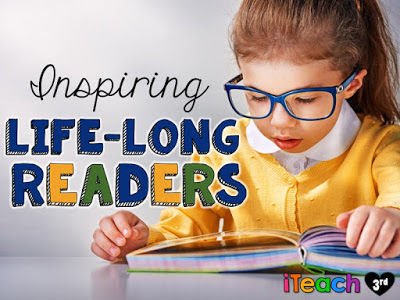 I firmly believe that the best way to teach reading is through books! And it requires very little planning and prep! 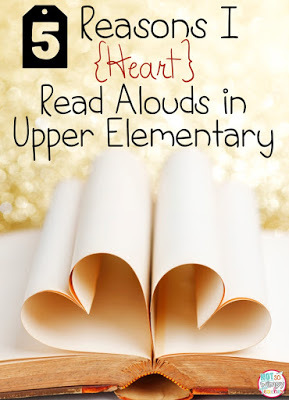 If you want to read more about how I use read aloud in the classroom, click on the picture below. This is my favorite center. This is the center where I allow students to choose ANY book that they want to read and spend 30 minutes silently reading. Students are not permitted in the library during center time. They must choose books and put them in their book box during snack or pack up time. This insures that students are spending all of their center time reading. Students must read the entire time. I should never see their eyeballs because they should be glued to their book. Otherwise, I allow students to sit anywhere and read anything. 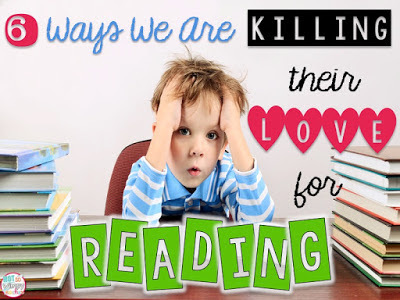 Students learn to love reading by reading amazing books. I want to help facilitate this by providing an amazing library of books and time to read them! In this center, students are responding to the book that they are reading during their read to self time. This helps me to keep them accountable, while still offering choice. 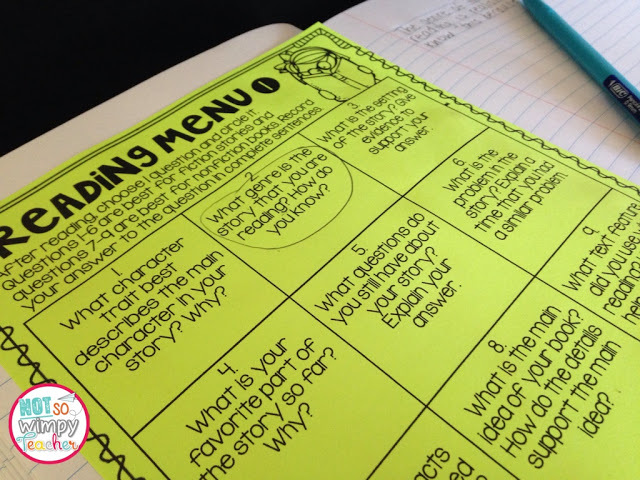 Students are given a reading menu on Monday. I ask them to write one thorough response each week. They can pick the question. All of the questions relate to our reading and writing standards. No matter what question they pick, I know that they are practicing valuable skills. Students are producing better responses because they had choice in the book and the type of response. 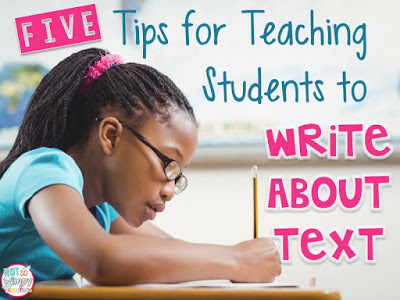 There are six questions that are ideal for fiction text and three that are meant for nonfiction. 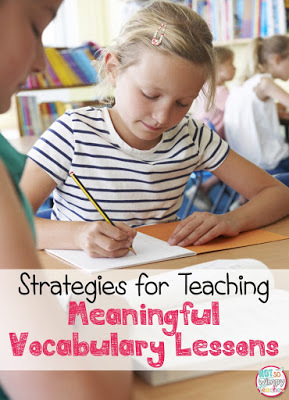 They can truly be used with any text that your student may have picked! The responses are pretty easy to grade because I put a simple rubric right on the recording sheet. Now, I am not carting around a bunch of heavy journals, graded responses can go home for parents to see, and students know the expectations. This response is often the only grade I give for centers. Occasionally, I give participation grades. 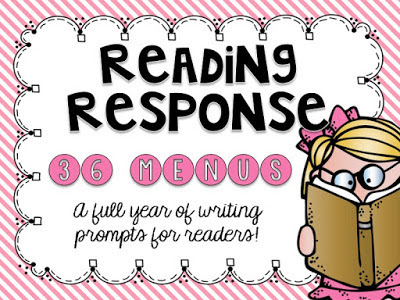 If you want to read more about how I teach students to use these menus and respond to text, click on the picture below. We are blessed to have a small set of chromebooks in our classroom. 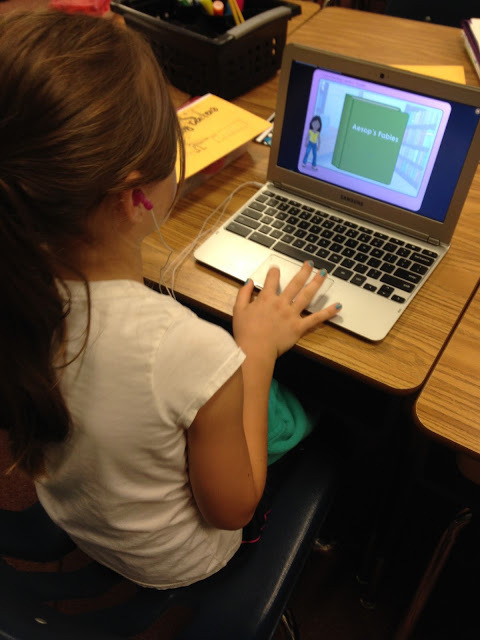 My school purchased licenses for i-Ready and students are required to do these lessons during center time. The program provides mini lessons on reading skills. Students are reading passages and answering questions that pertain to the text and the skill. This program is pricey. If the school was not paying for it for me, I would use Moby Max instead. It is FREE and has many of the same types of lessons. This is obviously the most important center. This is the time that I am able to work with a small group of students to differentiate instruction to meet their needs. This is where the magic happens! 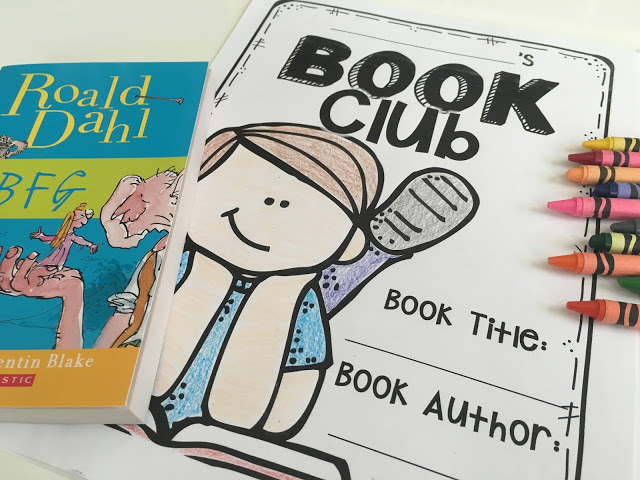 I use book clubs during our meet the teacher time. Students seem to be more engaged with chapter books than they are with text books or passages. It also allows me to do the same thing with each of my groups- I just have different text that meet their needs and interests. 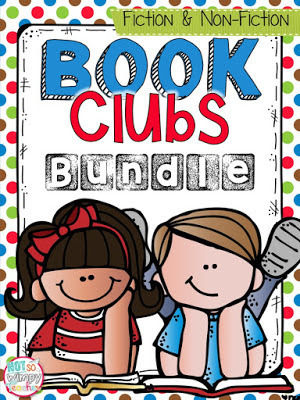 If you want to read more about how I use book clubs, click on the picture below. 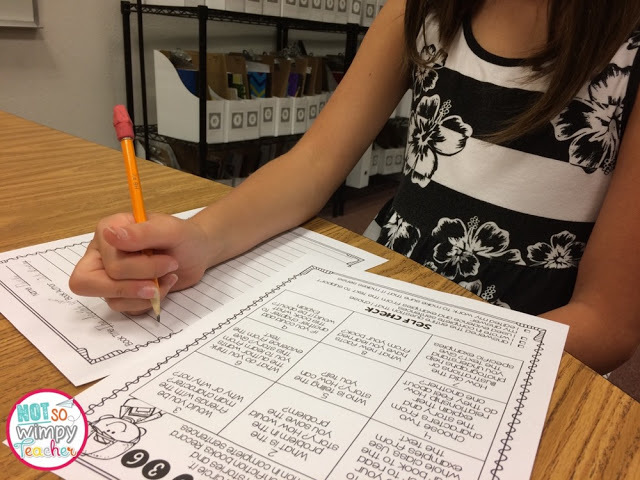 We use my book club graphic organizers to practice the current reading skills that we are working on. We can work on almost every skill while still using interesting books! 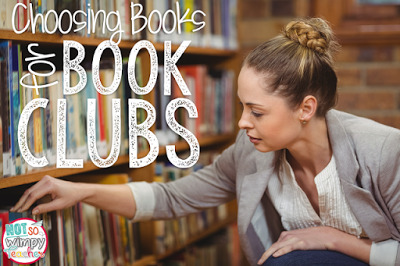 If you want to read more about how I choose books for my book club groups, click on the picture below.